When the handcuffs click behind you in Austin, your life could change in an instant. Whether a felony or misdemeanor a criminal charge can have a serious impact on your career, family, finances, and future. You could be facing a total loss of liberty if you are sent to jail or prison. You could face crippling fines. You could even have a criminal record that haunts you for the rest of your life, keeping you from getting the job of your dreams. With such severe consequences, it is critical that you exercise your right to an attorney. It is essential that you have a skilled, aggressive advocate challenging the prosecution’s evidence, who will work tirelessly to build a strong defense on your behalf and who will seek the best results for you. Throughout my career in criminal defense work, I have learned firsthand that good people can sometimes make bad mistakes and that individuals are often falsely accused of wrongdoing. These errors do not mean, however, that an individual should spend the rest of their life paying for them. If you have been accused or charged with an illegal offense in the Travis County area, it is highly recommended that you gain legal representation. Penalties for criminal convictions can range from large fines and probation to lengthy prison terms. It is important that you have reliable legal counsel and stay informed during the court process by a trusted professional. Take the first step in your defense today and call Kevin Bennett. Attorney Kevin Bennett was born and raised in Austin, Texas. He now dedicates himself to defending those accused of crimes in Austin and throughout Travis County. Mr. Bennett is a skilled and experienced defense attorney that practices solely criminal defense and who limits his practice to Austin and Travis County, Texas. This narrow focus allows Mr. Bennett to give his clients the representation that they deserve when trusting him with their future. Mr. Bennett finds it rewarding to represent all types of people during what is often the most stressful time of their lives. If you have been arrested in Austin, Pflugerville, Lakeway, or the surrounding areas, The Law Office of Kevin Bennett is equipped with the knowledge and resources necessary to defend you. 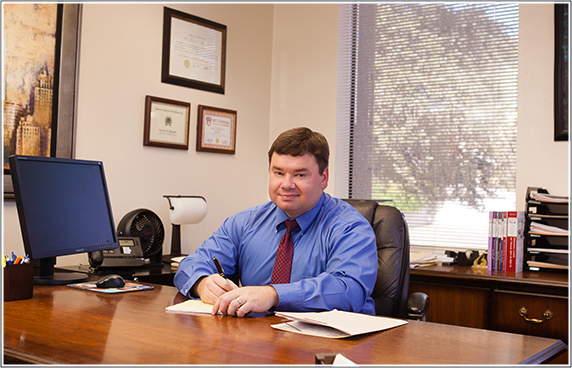 Kevin Bennett is a dedicated DUI attorney in Travis County who will work around the clock to ensure that you are put in a position to receive the most favorable outcome. I take the defense of your case personally. You are not just a name or case, but a real person who is depending on me for help when you need it most. Your future is my priority. My goal is to vigorously defend and protect you from criminal prosecution while thoroughly explaining and communicating each and every step of the criminal justice process. I personally handle every aspect of your case. You are never handed off to a junior associate or staff member. It doesn’t matter “who you are” or how “big or small the case,” every person that trust me with their case is equally important. Kevin has a proven track record of getting hundreds of cases dismissed, reduced and/or expunged. Kevin works tirelessly to examine each case and to tailor a defense meant to work to your advantage and to produce results. I will make the time for you and treat you as real person. I understand the human and emotional aspects of being charged with a crime. The mistake of not hiring the right lawyer to protect your future could cost much more in the long run, both financially and in terms of your freedom. While many attorneys pride themselves in the number of clients they sign up, I intentionally limit my case load. This allows me to devote the time and energy necessary to providing the dedicated defense that is expected of me. I don’t take court appointments. This gives me the ability to spend the time necessary to defend my clients and represent their best interest. Your attorney should be concerned about you; not their ability to churn appointed cases in order to obtain their next court appointed paycheck. Aggressive representation and skilled defense for a reasonable fee. I offer payment plans so that you can afford your defense. Over a decade of experience defending those accused of crimes in Austin. I am licensed in both state and federal court. Like anything in life, you get what you pay for. If you hire the cheapest lawyer you can find, then you can likely expect the results that come with it. Hiring the right lawyer is an investment in you; and possibly the most important investment you ever make. There are many different areas of law. I further my education and hone my skills in only one area of law, criminal defense. This is not true of many lawyers who would happily agree to represent you. I focus all of my time and resources into the criminal justice system in Austin, Travis County. This allows me to best understand the lay of the land and to maintain strong relationships with prosecutors, judges, court staff, probation officers and other players involved in the Travis County criminal justice system. Kevin was a Godsend for me and my son. He was available for all our questions, no matter what time of day, and no matter how basic. He worked to get my son’s possession of marijuana charges dismissed. My son lives out of town, and Kevin arranged for him not to even have to appear in court as long as we sent in all the required documents. I highly recommend Kevin no matter what your charge is. He is beyond wonderful! He is professional, caring, and very knowledgeable. I never thought that I would find myself needing to hire a criminal lawyer, but I am glad that I hired Kevin Bennett as my lawyer. Mr. Bennett was recommended to me by a friend, who had used his services in the past. Mr. Bennett was always very patient with me and took the time to answer all of my questions and explain to me how he would handle my case. I was extremely happy with the outcome of my case, as Mr. Bennett was able to get it dismissed. My experience with Kevin Bennett as my lawyer was very satisfying. I was facing a Felony Burglary charge and he helped get my case dismissed. I had a previous theft charge in my criminal history and he was still able to get my case dismissed. Kevin always kept me informed of my case and I felt like he was very good at communicating with me. I would highly recommend Kevin as your lawyer. Dear Kevin, Your knowledge of the law and business relationship with Travis County proved to be a big asset in getting resolution to my sons DWI case. Your personal interest to truly help was a welcome feeling through out the process. We appreciate your prompt professional handling of this situation and would certainly recommend your services in the future.